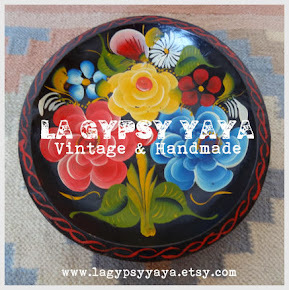 GYPSY YAYA: Tiny Home In Topanga Canyon~Fab Craigslist Find! 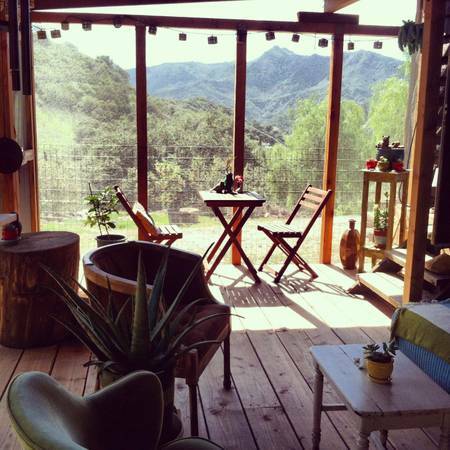 Tiny Home In Topanga Canyon~Fab Craigslist Find! 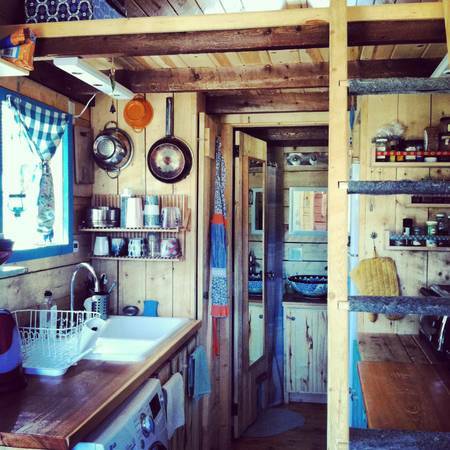 I have always had a thing for tiny houses, so when I came across this listing for a 140 sqft tiny home on wheels for sale in LA I had to share. 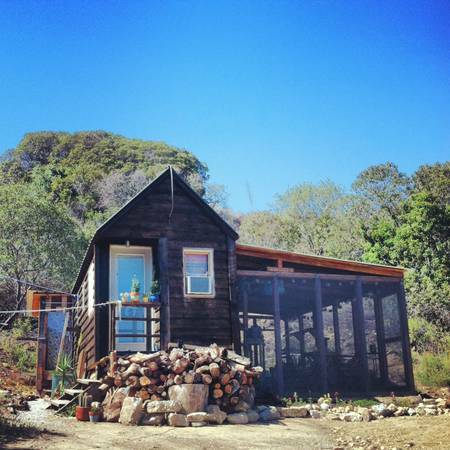 I'm no where near LA but this tiny home for sale in Topanga Canyon sparked my inspiration in a major way. It's amazing how such a tiny house can be so functional and peaceful. It has everything one might need on a day to day basis and the added bonus of no huge mortgage payment...which means no slaving at a 9-5 to pay for it. WIN-WIN. You can take it anywhere you like, or keep it parked on this lovely piece of land... Dreamy non?
" 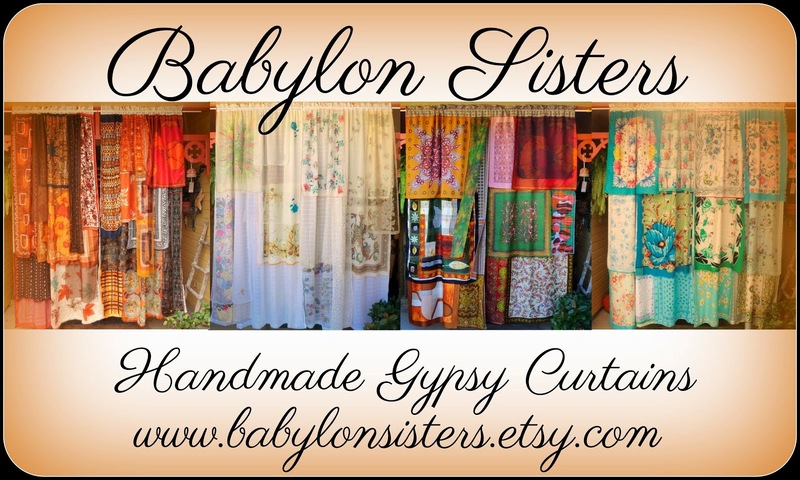 Two artists re-locating and selling our tiny home on wheels! This is a cabin built on a 7x20 ft trailer bed. You can tow it with a truck and do not need a special permit to tow it. Great for someone looking to downsize their lives, or for those who would like to use it for rental income, a guest house, or for camping. 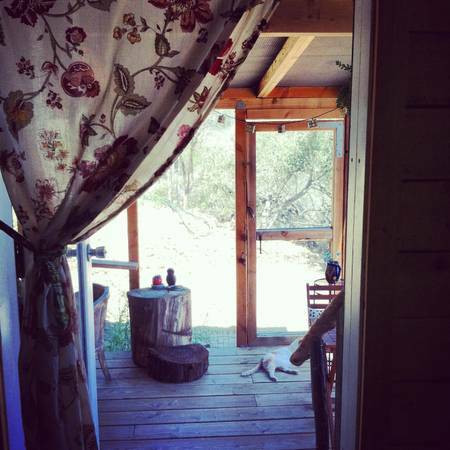 OR...we currently rent the land it's on for $700/mo including electric & water. 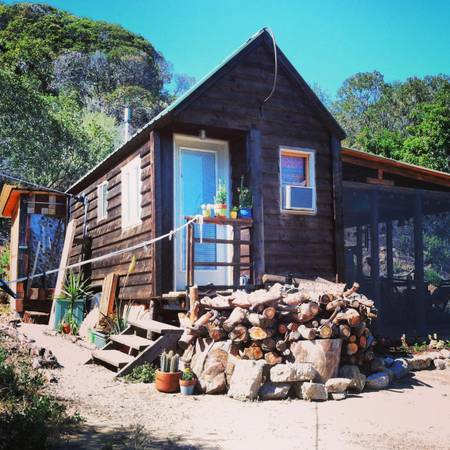 If you were interested in buying the cabin from us then keeping the set-up and renting the spot from our landlord, we could introduce you to him before purchasing. In which case, we could just leave everything as it is and you could move right in. It's a little slice of heaven here. An LA paradise. Very private with a big yard. Located right in the canyon, but close to the beach and everything the city has to offer. Similar to a tumbleweed tiny house (www.tumbleweedhouses.com), but it's hand built with eco friendly, re-claimed materials and costs much less. 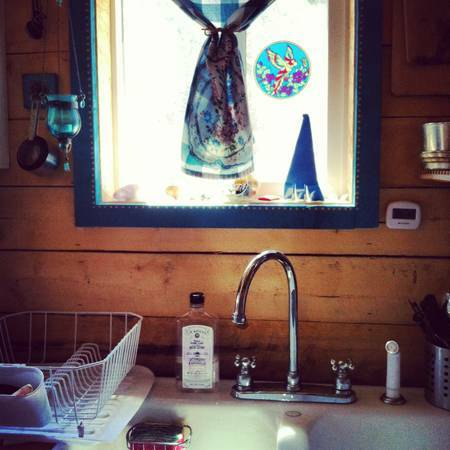 Has a big kitchen sink, a beautiful talavera vessel bowl bathroom sink, nice sized shower with a wonderful Rinnai propane water heater, washer, and good sized fridge. (We use a counter top hot plate and convection oven for food preparation, but also have a small stove/oven that would fit if you're interested in that). 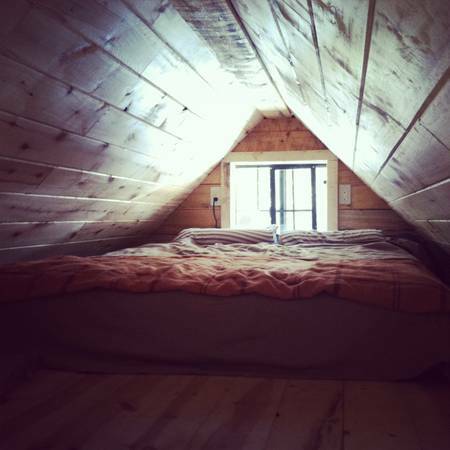 There are two lofts, one for sleeping and one for storage. The house is well insulated and it doesn't take much at all to heat and cool it. The window air conditioner is included. We use an electric-run SunMar compost toilet, but moved it to an outdoor structure because it has a fan that runs 24/7 and we didn't like hearing the fan noise all the time. 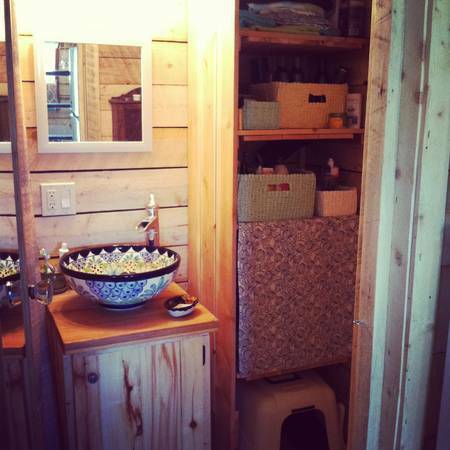 You could have the compost toilet, or have a regular toilet put in. It's a very cozy place with rustic elegance. If you were to rent it out you could make a nice monthly income off of it (especially in Topanga!). It's a creative alternative to a traditional RV, too. Please e-mail if seriously interested. We are asking $34,000 for the house or best offer. In the photos, you will notice there is an outdoor living room area off the side of the house. That is just something we built off of the house, but it is not portable and would have to be detached if moving the house. If you wanted to reconstruct it, we could give you the materials for you to do so. " 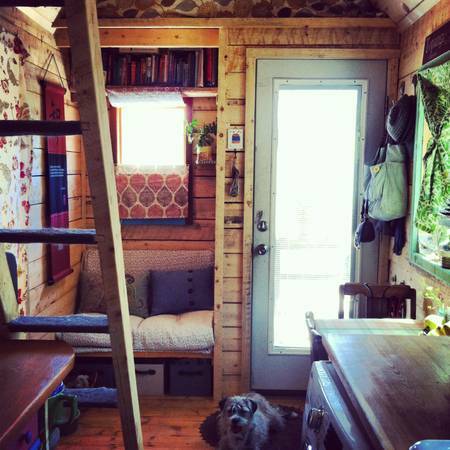 I ADORE this tiny house! Lovely house, Andrea! I look at the pic again and again and can't believe it's on wheels! Love the sunlit veranda and that great view! It's the sweetest little place! I day dream about tiny homes but with my husband and I, baby on the way, 2 birds, 2 cats and a dog...we'd be a bit of a circus! 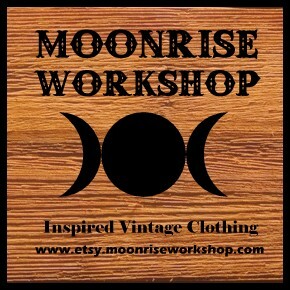 Hey Eric, sorry this is not my listing...I was just re-sharing a groovy set up I spied on Craigslist. It's seems that the cabin built on a 7x20ft trailer bed. But do you use this tiny house as a high quality trailer. Have any tire bellow this tiny house or is it fixed?